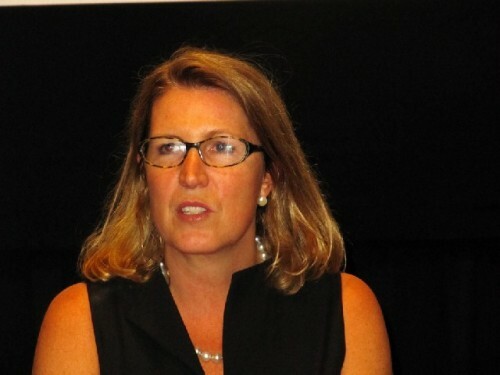 This is the sixth annual Berkshire International Film Festival under artistic director Kelley Vickery. Giuliano photo. 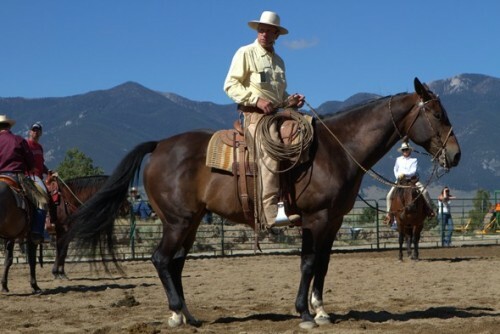 Buck Brannaman mounted up during one of his four day horse training clinics. 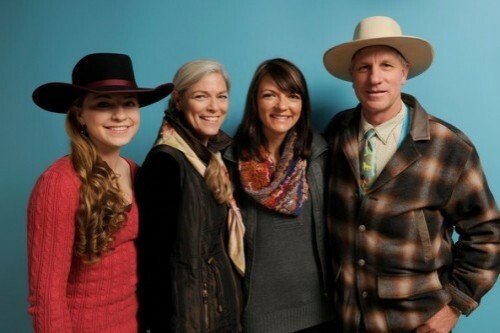 Buck Brannaman and his family. 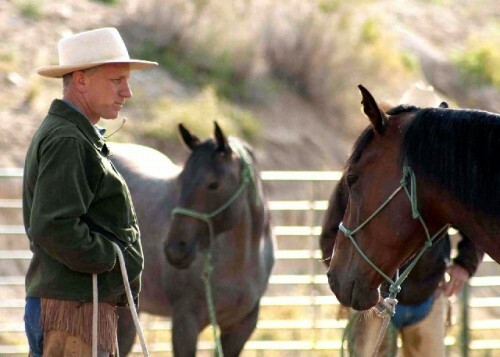 Buck inspired Redford in The Horse Whisperer. Buck and director Cindy Meehl. 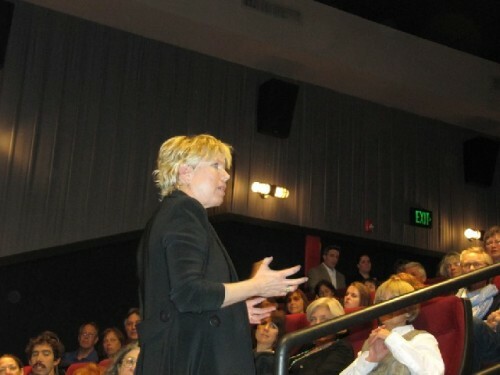 Cindy Meehl talking with the audience after screening Buck. Giuliano photos. 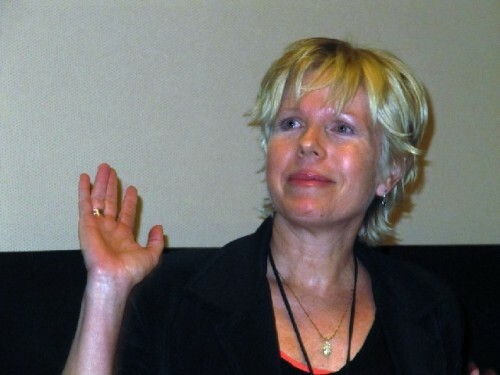 This was the first film directed by Cindy Meehl. She followed Buck around the country for two and a half years. 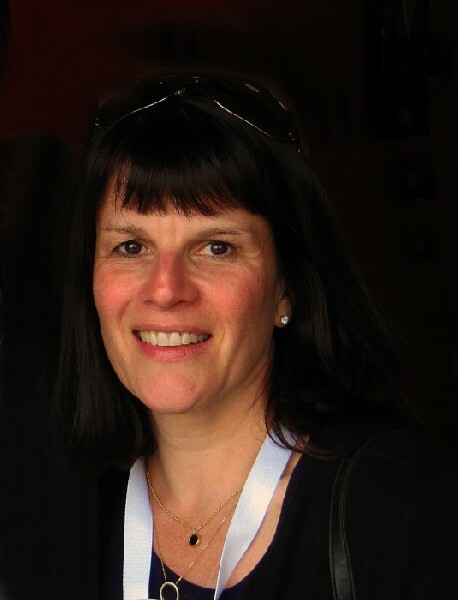 Toby Shinn and Cindy Meehl edited the film from 300 hours to a final cut of 88 minutes. 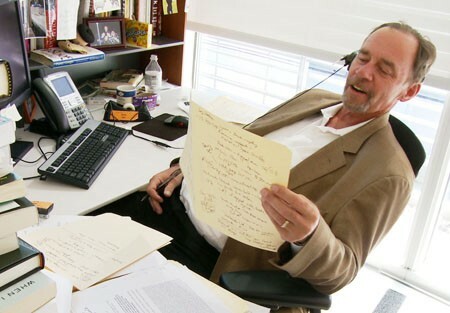 David Carr was a crack addict before going straight and joining the New York Times. Carr at his desk reporting on media for the Times. Vickery and a Page One producer Josh Braun take questions. Giuliano photo. 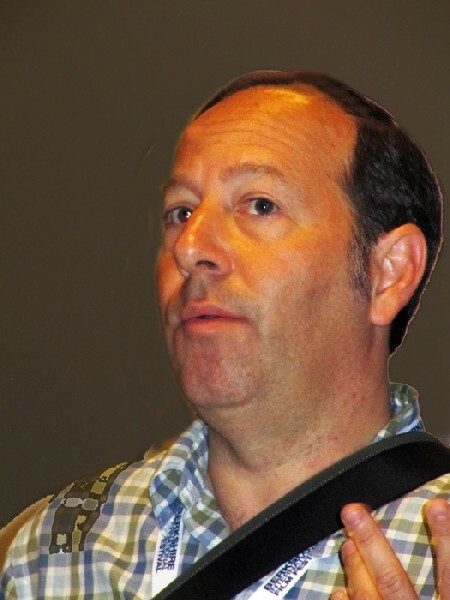 Braun discussed the current status of The Times. 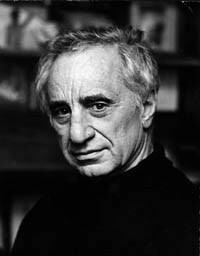 Elia Kazan was a cinematic genius and HUAC rat. 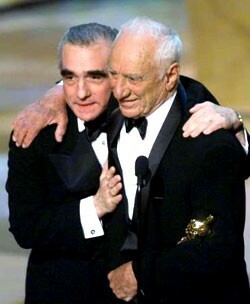 Martin Scorsese presented Kazan with an Oscar for Lifetime Achievement. 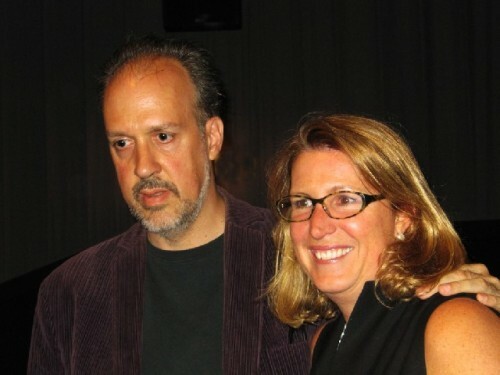 Vickery with Scorsese collaborator and Pittsfield’s own Kent Jones. Kent Jones is a renowned film critic. Giuliano photos. 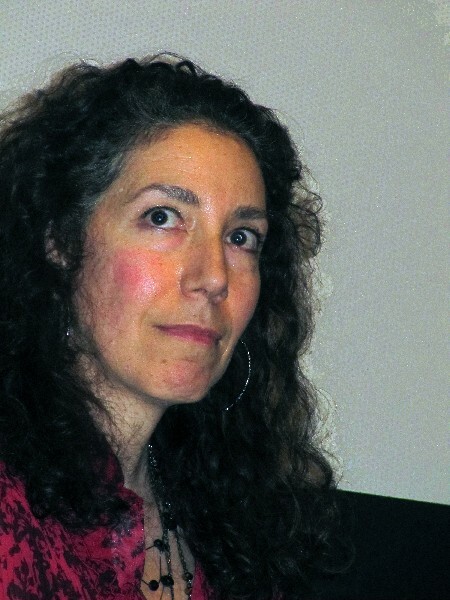 Diane Pearlman of the Berkshire Film and Media Commission sponsored the presentation of Letter to Elia. Kent Jones bids farewell once again to his home town. The Kazan masterpiece Wild River was sparsely attended. 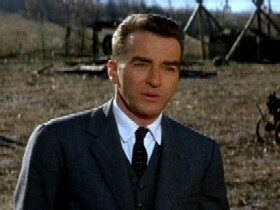 Montgomery Clift was understated and riveting in Wild River. Clift was paired with Lee Remick. 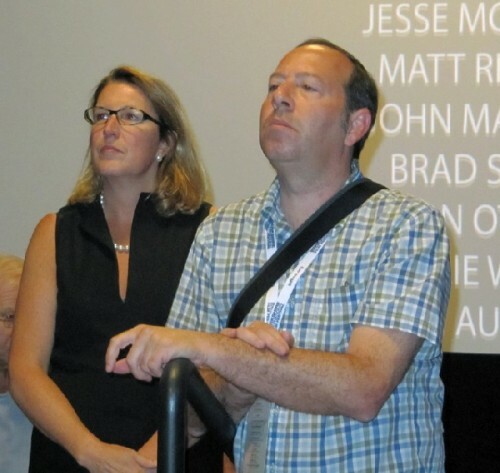 Now in its sixth year under founder Kelley Vickery, the Berkshire International Film Festival, which opened on Thursday June 2 and ran in Great Barrington and Pittsfield closed on Sunday, June 5. With a plethora of films running simultaneously in multiple venues, we focused on offerings at the Beacon Cinema in Pittsfield. In its second year, the attendance at Beacon has doubled. As is always the case in the context of such a festival, it comes down to careful selections, getting in to crowded and sold out screening. To evoke a cinematic phrase borrowed from Chance the Gardner, it is a matter of Being There. On Friday night, following a cocktail reception, after which, in the packed theatre, we ended up in the second row. Which was really really being there, for the sold out Buck a first film by director Cindy Meehl. Based on our Sundance report by film critic Jon Goldman it was, for us, the most anticipated film at BIFF. On January 24, Goldman saw the film and filed “Luckily, the next film we see is Buck about which there is much buzz. It concerns the remarkable Buck Brannaman, a horseman’s horseman, a true-to life “horse-whisperer’ protégé of Ray Hunt, who was profiled in the Robert Redford movie of that name. Redford appears as well, giving credence to the absolutely grounded Brannaman as he travels the West, nine months a year, holding clinics on horsemanship. "We met him after the film, where it is obvious that he is just as genuine as he is depicted in the film. It relates his transition from a traumatically abused child into skilled rodeo performer. He is an approachable, and articulate spokesmen for the relationship between humans and animals. Brannaman is truly inspirational. His message both in and out of the horse ring has simplicity, humor, earnestness and gentleness. It is reminiscent of Will Rogers and accordingly he seems to belong to another era. Since the debut at Sundance, Buck has been a sensation on the festival circuit. Vickery was lucky and wise to feature it for opening night at the Beacon. The audience was entirely calmed and seduced, much like one of those colts and miscreant horses that he handles and trains with such consummate skill. More than a story about horse training, it is a profile of a man who after a childhood of horrendous abuse, with the care of devoted foster parents, evolved into a gentle and loving horse trainer, husband and parent. The supportive mentoring relationship between Buck and his daughter was just stunning. Buck and his brother were raised by an abusive, brutal, drunken father to be trick ropers. The boys lost their mother while young, and with her the only buffer between them and the rage of their father. There is footage of Buck, now much later in life, entertaining dinner guests during a barbecue by performing tricks. There is so much to learn and absorb from Buck. As Goldman stated, it is about much more than horses. But to see him in sublime synergy with horses, leading them with the slightest motion and touch, is such an analogy for our own lives. In a poignant scene with the owner of a killer stallion that is beyond redemption, and must be put down, Buck gently states to the sobbing woman that it is about more than horses. Clearly, as she admits, her life is in turmoil. 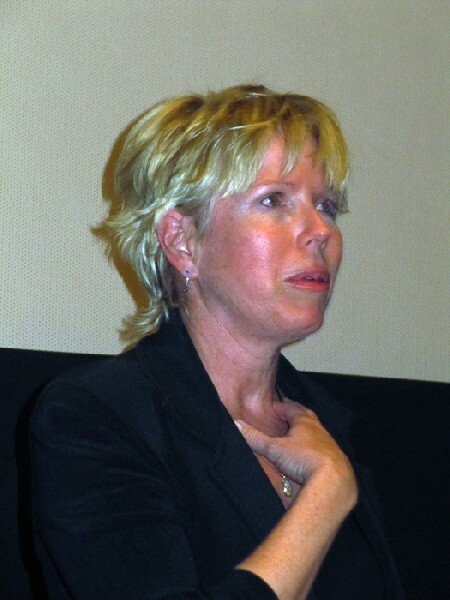 During the post screening discussion with the director Meehl, it was revealed that they debated whether to include the sequence with the violent horse which had to be put down. It was a failure although, for a time, it appeared that Buck was making progress with the severely violent animal. She stated that some of the footage was even more horrendous than what made the final cut. Meehl, a horse woman in the Eastern, English saddle, dressage, hunt tradition had heard of the Western style and found her way to the master. She told us that it made her entirely reconsider how horses think and the best way to work with them. Based on the great success of the film on the festival circuit, through distribution with IFC, it is about to be released at 100 theatres across America. Don’t miss this if it comes to your local theatre. It is one of the most moving films I have seen in a long, long time. If you absorb and build on all of its insights, it could be a life changing experience. Particularly for troubled families or out of control studs and stallions. 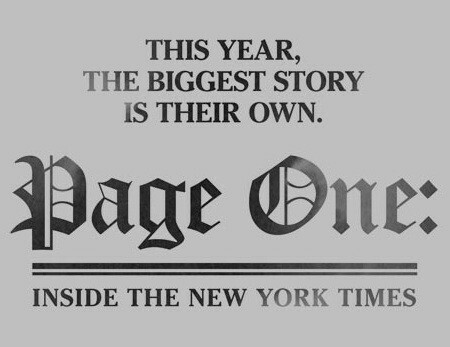 The Saturday morning screening of Page One: Inside the New York Times by director Andrew Rossi was also packed. We spotted a number of scribes and editors in the audience. The sobering theme of the superb and insightful film is the decline and fall of print media as we know it. From the folding of venerable daily publications all over the country to shrinking news rooms and tighter budgets for those that remain. This development is contrasted by the rise of blogs and such phenomena as Huffington Post and Wikileaks. Among the online media, the mantra is that the King (New York Times/ Washington Post/ LA Times) is dead, and Long Live the King (AKA blogs which clog the internet). There is an interesting subtext that compares and contrasts when the Times published documents provided to them by Daniel Ellsberg, The Pentagon Papers, and a recent arrangement with Julian Assange to publish excerpts of secret documents released throug Wikileaks. There is the observation that Ellsberg "needed" The Times to publish his documents while in the internet age Wilileaks can post terabytes of sensitive documents with a click of the mouse. A debate focuses on the alliances between Wikileaks and The Times as well as Britain's Guardian and Germany's Der Spiegel. Does that authenticate Assange as a "journalist?" In the old paradigm, newspapers were sold at below cost and profits were racked up through advertising. Most of that ad revenue, particularly classifieds (Craigslist), in house automotive sites, and real estate, are mostly gone never to return. When I was a kid a newspaper cost a nickel. Now the daily Times sells for two bucks and on Sunday, faggeddhabouit. While attempting to keep up with the bloggers The Times is now charging subscriptions for on line content beyond a token amount of free stuff. If you want more you have to pay or look elsewhere for the news. As Page One points out, what you miss if you don’t read The Times is rehashed by online media, network television news, and even magazines like The New Yorker, Vanity Fair and The Atlantic. What the Times publishes, with its global bureaus and brilliant staff of reporters, is what reverberates through the ancillary media. It is like Newton’s law of action resulting in reaction. 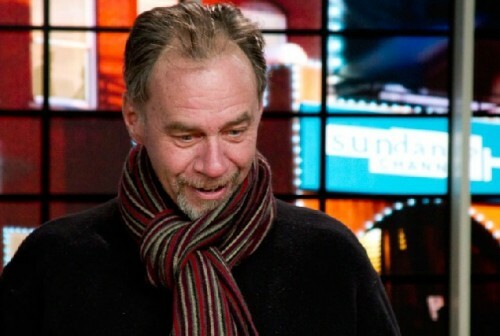 The case for The Times is made by the focus of the film, its star in a sense, the crusty, complex, former derelict crack addict, media reporter David Carr. There is a focus on Carr in the process of covering the sale and willful destruction of the Tribune family of newspapers. We cringe at footage of the barbarians invading the temple all in the name of profit. Most of us who have spent a life in the media know that it isn’t really a business. That’s not what drives us. And Carr is riveting and emblematic in conveying that passion, integrity and drive. Yes, I get your point David, there’s a lot of cut and paste crap out there passing itself off as journalism. There is no limit to sites that link us to other people’s content. Mostly they are indexing services for those too busy to do their own surfing. It herds the sheep through the content rather than toughing it out in a daily slog through The Times. Yeah, David, I get it. You big chief, we little guys. Absolutely. But I am proud to say that yes, we run verbatim press releases, but Berkshire Fine Arts is entirely devoted to posting tons and tons of original content. We write all our own stuff and are damned proud of it. If you search Google you will discover that our images and stories get ripped off on a daily basis. And we don’t charge readers a dime. A lousy business model, yeah, we know, but it ain’t about money. If you are reading this then that’s the reason why we do it. That said, Mr. Carr, you and The Times are wicked cool. Loved the film. Written and directed by Martin Scorsese and Kent Jones Letter to Elia is a loving and complex tribute to the great director Elia Kazan. In addition to making iconic films like Streetcar Named Desire, East of Eden, America America and On the Waterfront, Kazan was a deprogrammed Communist who named names and ruined careers in testimony before HUAC. For most of us liberals he was a fink on the wrong side of the ideological divide. The conundrum is to separate the artist, one of the greatest of his generation, from the man, who ratted on friends. As this film compellingly, but not convincingly conveys, it is never so simple to separate good from evil. Of all those who testified before Senator Joseph McCarthy Kazan was unique for writing a letter to The Times to explain his position. He never apologized and was vilified by many in the film industry. 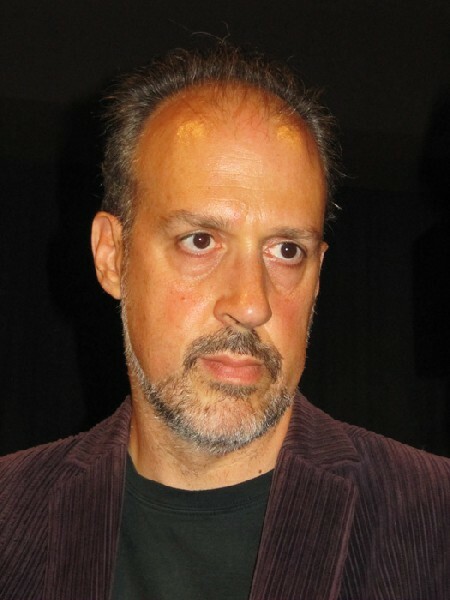 In the post film discussion, film critic and Scorsese collaborator, Kent Jones stated that Scorsese never hesitated when asked to be the presenter when Kazan was given a lifetime achievement Academy Award. Many in the Academy audience failed to applaud. Whatever the ideology, and change of heart, the code of silence is that you don’t turn on your friends. 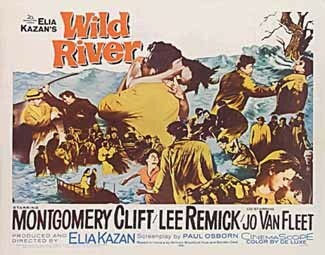 We were among the handful who stayed on to see a screening of Kazan’s neglected 1960 masterpiece Wild River. 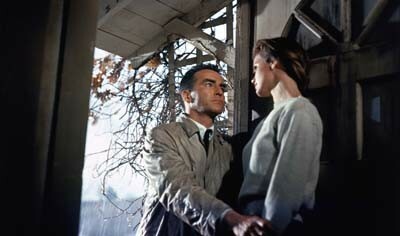 It starred Montgomery Clift and Lee Remick. The film is less familiar than East of Eden, one of the too few films of James Dean, or the riveting Brando in On the Waterfront. But a case may be made that it is every bit as successful, poignant and enduring. As the Scorsese film postulates Kazan’s greatest works were made after his HUAC testimony. He argues that the experience changed and deepened him as an artist. It may be evidence of that which does not break us makes us strong. Yes, and Leni Riefenstahl also made some great films.